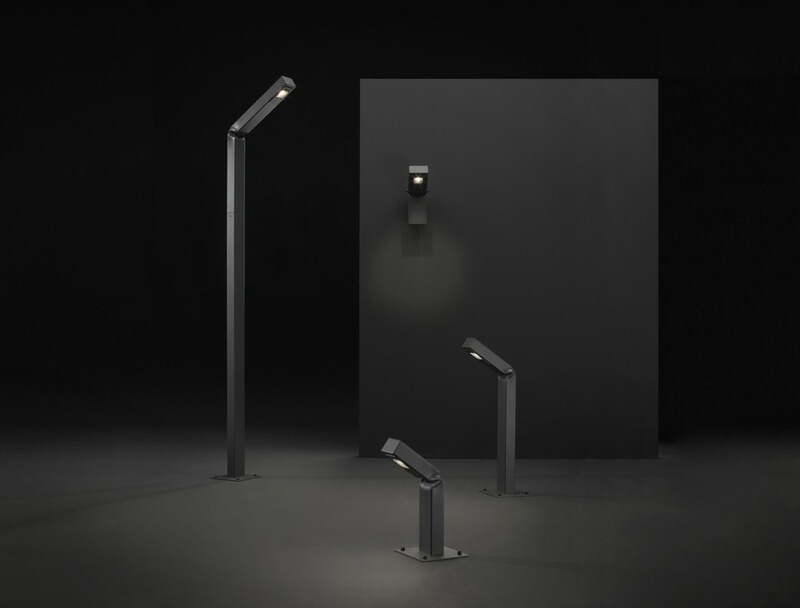 Designed for outdoor use, the SLV Bendo floor and wall lights catch the eye because of their unusual, angled design and high degree of functionality. The floor light is available in three sizes ranging from 40 to 220 cm. All lights are fitted with LEDs and have a colour temperature of 3,000 kelvins and a luminous flux of 420–1,800 lumens. All are of protection class IP 55 and have an A++ energy efficiency rating. These lights made of aluminium are available in anthracite grey. 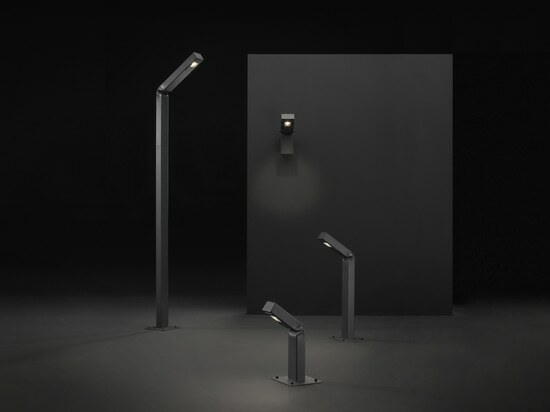 With their expressive design, the SLV Bendo floor and wall lights are outdoor eye-catchers that also appeal because of their high degree of functionality.